This holiday season is good if it makes us focus on the much and many that we have in our lives and gives us some time off to feel grateful and thankful for everybody and everything, even those, perhaps especially those, who occasionally shutter our “peace” and remind us that we are really alive. In this spirit, let me wish you all, friends and foes alike, Merry Christmas and a Beautiful New Year, full of creative challenges and truth, whatever that means. Without you I wouldn’t have been who I am (I guess I would have been different …)! Last, but not least, I want to thank NEO’s friends for showing up in such impressive numbers to once more support this special New Year’s issue and this effort in general. I feel especially grateful to those who have been with us since day one (nine years ago, let me remind you), when some other “friends” would have us last no more than that Christmas. I would also like to welcome the newcomers and wish them a …nice stay. On behalf of the NEO team, many and big thanks, and may this Holiday Season & New Year be tailored according to each and everyone’s wishes! Malaccan: The number ONE Greek Export! 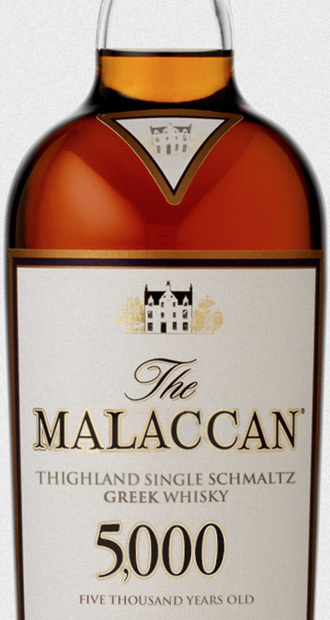 Salute this Holiday Season with the …Malaccan: a Thighland Single Schmaltz Greek Whisky, which like everything else Hellenic is at least 5,000 years old! Allow yourself to indulge in something quintessentially-Greek and human while losing weight and perhaps your mind at the same time!